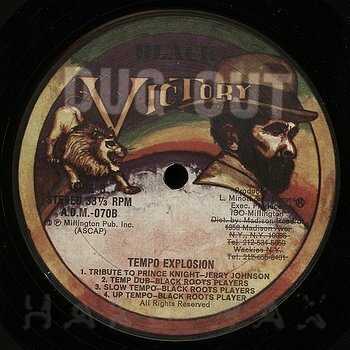 Moving between New York and Kingston, Jamaica, in the mid-1980s, the revered Black Victory label is a perfect storm, crossing the sainted ranks and deep lineages of Studio One and Bullwackies, together with the first, most celebrated strikes of the digital revolution in reggae. The musicians — for the JA recordings presented as The Studio One Band, in NYC as the Black Roots Players — include Brentford Road legends like bassist Bagga Walker and keyboardist Pablove Black, alongside White Plains Road aces like sax-man Jerry Johnson and percussionist Ras Menilik. 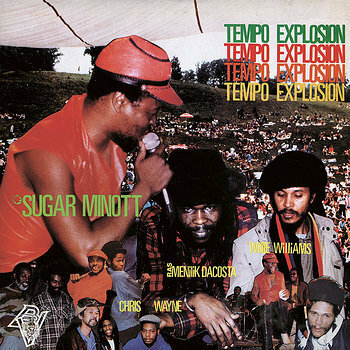 The studios were Bullwackies, in the Bronx, where the genius Lloyd Barnes produced Tempo Explosion with Sugar Minott, and Music Mountain, in Stony Hill, Kingston, where David Rowan was the recordist, and the heavyweight Crucial Bunny (from Channel One) mixed the Nitty Gritty LP, General Penitentiary. Business was run from two New York record shops: Madison Records at 125th Street in Harlem, and Wackies. 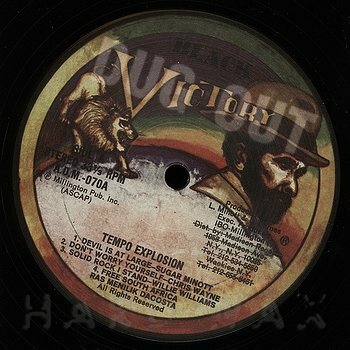 Dancehall saviour of Studio One, and co-architect of Black Victory, Wackies stalwart Minott himself takes the mic, kicking off the imperious Tempo Explosion version-excursion, and on the final Black Victory release, the single Sheriff John Brown, a driving sufferers cliffhanger about bent cops and going on the run; whilst elsewhere on the label he introduces his brilliant proteges from Youth Promotion, Tenor Saw, just twenty, and Nitty Gritty, fresh from Jammys via London. Studio One veteran Willie Williams turns in one of his masterworks, pile-driving Shaka murder, with a deejay cut by newcomer Colorman. The material is mostly one-away, except for that utterly devastating, chilled, dread run on King Tubby’s Tempo rhythm, surely the greatest one-rhythm album of all time, with the very greatest versions of the Red Rose classic. 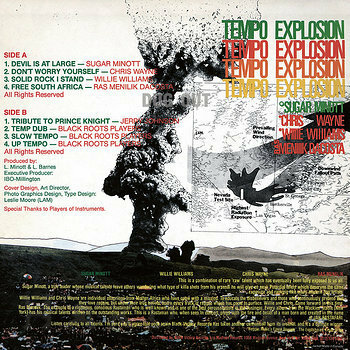 (Wackies artist Leslie Moore’s sleeve design compares its intensity with nuclear testing in Nevada, so you know you’re in trouble even before the needle drops.) Throughout Black Victory, the musicianship and dubwise production magnificently ride the cusp between analogue and digital, with masterful live performances and swingeing drum programmes seamlessly combined. Check Bagga, dense and churning, in amongst the hotter claps on Sheriff John Brown; also the meticulous, mesmeric mixing of the electronic percussion on the Williams' dub. Ibo Millington's imprint released just five twelves and two LPs, pure killer from start to finish. Here it all comes again: ’Largeness in an International Venture’, as he called it back then.